Halcyon was GSA senior advisor for Privatization of the historic Old Post Office; Co-authored RFP, evaluated Offers, assisted Selection Panel, and negotiated with Trump Organization. Textbook Public / Private Partner- ship, to preserve Historic Integrity, maximize GSA proceeds, generate private Jobs and new City taxes. 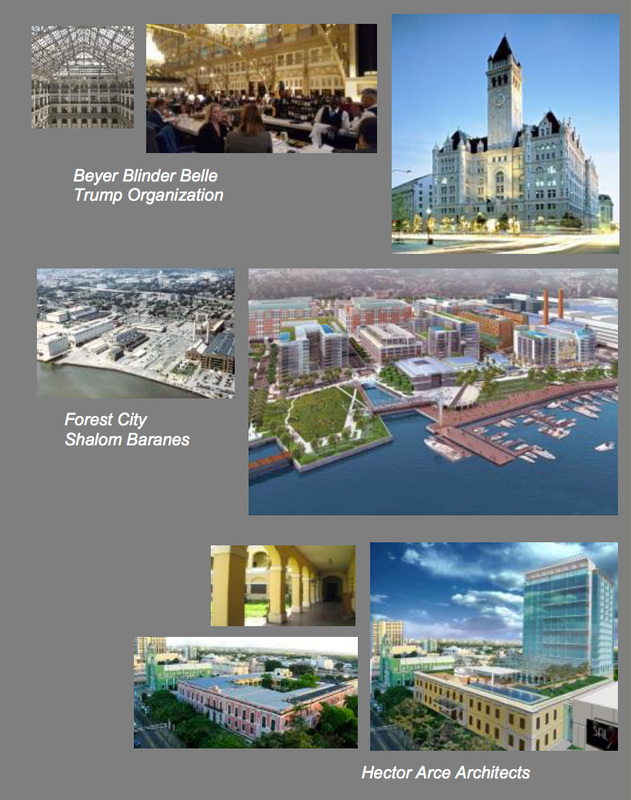 Advisor to GSA, with E&Y; created Parcelization and preferred Land Uses ; co-drafted RFP / RFQ approach evaluated cash flow, residual sale and NPV of Offers ; evaluated respondents Designs, assisted Selection Panel, Co-negotiated Land Lease and Halcyon concept of Deferred Compensation upon project Sale /Refi. For Puerto Rico Land Administration, proposed Re-Use of a historic Spanish Colonial Hospital in San Juan. Created concept with Historic Courtyard as locus of Suite Rooms; Boutique Hotel tower with rooftop Plunge Pool; two-story Salud Casino. Feasibility established ADR, Hard and Soft costs NOI, and IRR metrics.